I had a patient once who was a champion ballroom dancer in her earlier days. She had several children and gained a lot of weight maybe 100 pounds and stayed heavy after the delivery of the third child. After a significant struggle with diets and exercise, she finally was able to shed the unwanted pounds. She consulted with me for an abdominoplasty and was advised that she was a great candidate. She understood the incision site, permanency of the scar, potential risks, and complications. She was ready to schedule but I found out later that she went elsewhere because it was cheaper. We’ve addressed this issue of cost many times, and come to the conclusion that when it comes to cosmetic surgery cheapest is not the best. She went someplace else had some complications was unhappy after about a year returned. no matter what they’re going to be and do their best. I evaluated her thoroughly and suggested revision tummy tuck. 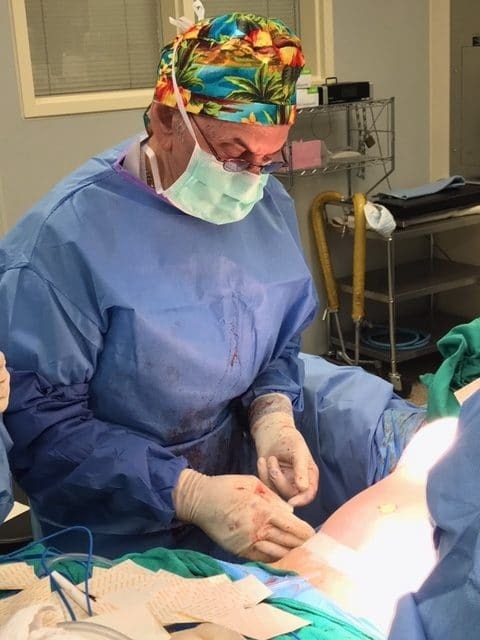 I explained to her that she still had a large fold of excess skin and fat hanging in the lower abdomen, as well as love, handles that with an extended abdominoplasty could be reduced. Furthermore, she had a slight convexity or outward curve of her upper abdomen. I explained that repair of the rectus muscles may improve this outward curvature to some degree. I emphasized again that redoing the procedure and removing all excess skin and fat would give her a flatter more attractive abdomen. She decided that she had the courage and the resources to make the commitment to be her best and underwent a redo or revision of her tummy tuck. Also, the revision required slight repositioning of her bellybutton which is sometimes necessary with revisions. Once she was all healed she understood the wisdom of my original suggestion that cheap is not always the best. FIRST TIME THE BEST TIME. Plastic surgery is a creative performing art of reshaping and redefining the human anatomy. The first time is always the best time to achieve that best result. a board certified plastic surgeon with a relatively extensive gallery, who charges for his consultation and explains in detail what to expect and is able to demonstrate work through an extensive gallery of before-and-after’s.